Krak�w is one of the largest and oldest cities in Poland, with a population of almost 800 000. The historic centre of Krak�w, the former capital of Poland, is situated at the foot of the Royal Wawel Castle. The 13th -century merchants' town has Europe's largest market square and numerous historical houses, palaces and churches with their magnificent interiors. Krak�w is also known for the remnants of the 14th -century fortifications and the mediaeval site of Kazimierz with its ancient synagogues in the southern part of the town as well as the Gothic Cathedral, where the kings of Poland were buried. Krak�w has traditionally been one of the leading centres of Polish scientific, cultural and artistic life. It is a major attraction for local and international tourists, hosting 7 million visitors annually. In 1978, UNESCO added Krak�w's historic centre, which includes the Old Town, Kazimierz and the Wawel Castle, to the list of World Heritage Sites. Each year over 200 000 students study at as many as 23 universities and colleges in Krak�w, constituting 10% of all students in Poland. AGH University of Science and Technology is the second largest technical university in Poland. The university was established in 1919, and was formerly known as the University of Mining and Metallurgy. It has 15 faculties and one school, which will become a new faculty in the near future. AGH University of Science and Technology continues the traditions of the Mining Academy established in Kielce by Stanis�aw Staszic. It serves science, economy and society through educating students and developing scientific and research staff, as well as conducting scientific research. The number of branches of science at AGH UST is 50, including 200 specializations. Around 35 000 students studied at the University in 2010. This included 25 000 full-time students, 100 foreign students and 750 doctoral students. The highest authority of the University is Rector - currently Professor Antoni Tajdu� - who entrusts the coordination of the crucial areas of the University activities to Deputy Rectors. Professor Zbigniew K�kol, a physicist, is the Vice-Rector for Education. The number of staff in 2011 was 4052, including nearly 180 full professors. In 2010 AGH UST organized or co-organized 33 conferences, workshops and schools. 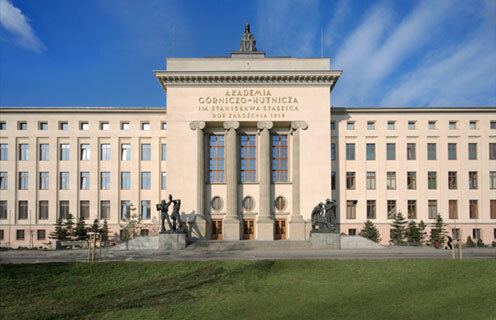 The Henryk Niewodnicza�ski Institute of Nuclear Physics Polish Academy of Sciences (IFJ PAN) is an institution with a large scientific and technical potential involved in both theoretical and experimental research. IFJ PAN carries out basic and applied research in physics, with emphasis on nuclear physics. The important branch of science in the Institute is also particle physics. There are six departments grouped within the Division of Particle Physics and Astrophysics that are involved in the following experiments: ATLAS, LHCb, BELLE, Pierre AUGER, WARP, ICARUS, T2K, LAGUNA, HESS, ZEUS, H1, PHOBOS, ILC, SuperB etc. The current general director of the Institute is Professor Marek Je�abek. 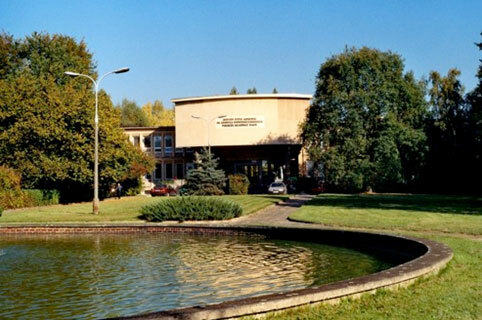 The Institute's premises of 8 ha are located in Bronowice - the western part of Krak�w. Several buildings host laboratories, a lecture hall, seminar rooms and workshop for production of scientific apparatus. The Institute has personnel of around 500 people, including 41 full professors, over 30 associate professors and 147 doctors. Each year the Institute organizes and co-organizes about 20 international and national scientific conferences and workshops. One of the largest conferences organized recently by the Institute was the 2009 Europhysics Conference on High Energy Physics (EPS HEP), with the participation of about 700 scientists from all over the world. The conference took place in the Auditorium Maximum of the Jagiellonian University and lasted 7 days.